Regina DelBonis is an accomplished Sales and Marketing Executive with extensive experience in revenue management in multiple markets, as well as in branded and independent full service, focus service and extended stay hotels. As Vice President of Sales & Marketing, Regina oversees Claremont Hotel’s Sales, Marketing, Public Relations, Revenue and Digital Strategies. 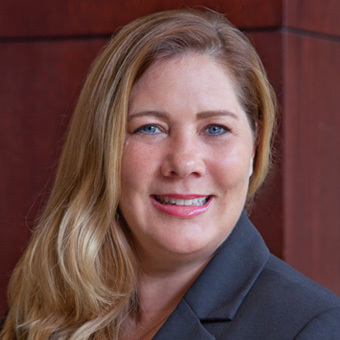 Prior to joining Claremont Hotels, Regina served as the Regional Director of Sales & Marketing at TPG Hotels and Resorts and Vice President of Sales for Interstate Hotels and Resorts where she was responsible for all Sales, Marketing and Revenue for a portfolio of hotels as well as other priority projects. Regina provides knowledge of successful hotel openings, brand transitions and the ability to drive market share.